Security boom gates aren’t just for car parks—they’re perfect for a range of businesses as well as residential apartment complexes. A security boom gate has many benefits; but, most importantly, it controls the flow of traffic and prevents unwanted vehicle entry. So if you want to restrict the comings and goings of vehicles from your property—who, what, and when—security boom gates are a great solution. What are the benefits of security boom gates? The cost of installing and operating a security boom gate is much cheaper than the alternatives—for example, employing a full-time security guard. When are security boom gates suitable? Security boom gates are the best way to monitor and control vehicle access. When are boom gates not suitable? Security boom gates are not suitable to control pedestrian access. People can simply ‘duck under’ them. So if you’re after an automatic gate for your house, you’re not likely to want a boom gate. Check out our range of beautifully designed gates for residential properties. If you own any kind of business, security boom gates are the best way to ensure that only the vehicles you want on your property are granted access. 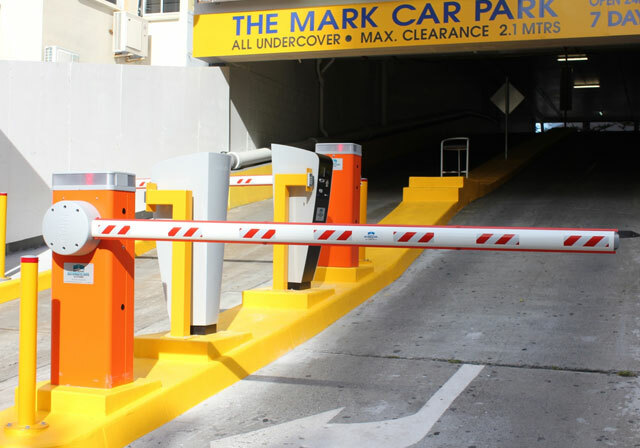 For example, if you own a car park, then a boom gate ensures that vehicles don’t enter without taking a ticket and don’t leave without paying a parking fee. On the other hand, if your business is an office or a warehouse, a security boom gate with intercom allows you to check the credentials of people and vehicles before they enter your property. This is very important for safety and security. These days many residential apartment complexes use security boom gates to prevent unwanted and unauthorised vehicle entry. It’s great way to make sure that only residents (or close friends and family) are permitted access. But it’s not just about restricting who has entry; it’s also about how many people have access. You want to make sure that there are always available parking spaces for residents. Contact us to discuss security boom gate options for your property.